Woo hoo! 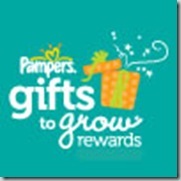 Pampers has 25 new Pampers Gifts To Grow points for us! Just enter code FB87CNEQ45KKK14 to get 15 points! We don’t know when this code expires.